New clothing usually comes with a tag. Something simple as a pair of scissors and snip you’re good. But be care to also get both ends the plastic end holding the take and the other end usually embedded in the clothing. 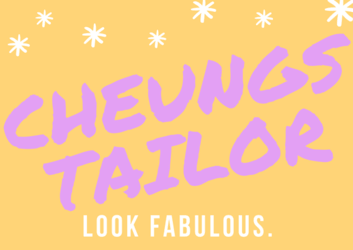 This is where Cheung’s Tailor can help. It’s not difficult but some times tagging guns mistakenly miss the garment and go through the middle this will cause discomfort in lighter clothing. New suits generally come with an assortment of tags, from the pant waist, the panel seams, the trouser pockets, the suit pockets, side logo, and also the cuffs. Removing these do not require an expert, but removing them without damaging the material does take some good attentiveness. It’s a minor service we do provide, generally performed with new suit alterations or on new garments with tags still attached. Again, no project too large or too small.